An aerial view of the facility currently under construction in Albany. ALBANY — An Albany-area business is expanding, bringing additional jobs to the region. Founded in 2014 by local pharmacist and businessman Ed Zatta, who is President of the company, RXQ Compounding has grown from its beginning in a 500 square foot office where Zatta was the lone employee to the 40,000 square foot facility currently under construction. RXQ Compounding, LLC, is an FDA-approved 503B outsourcing facility, which manufactures sterile and non-sterile medications including products that are on the FDA Short List. RXQ Compounding provides these medications to physician offices and hospitals across the United States in various sized vials and syringes. Zatta explained that the company takes raw material and processes it, as well as taking large amounts of materials and breaking it down into smaller units for use in hospitals. Zatta stated that the company currently has 49 full-time equivalent employees as it operates out of the Ohio University Innovation Center, with that number expected to be around 100 in the next six months as the company prepares to move into its new facility. The company employs individuals in a variety of roles, including, packing and shipping, technicians, sales, and pharmacists. Technicians are able to be trained by the company for their positions. Currently their are three pharmacists, with three more expected to be hired in the coming months. RXQ Compounding handles the process from start to finish, taking the product from raw material to finished product, selling the product, and shipping it to the buyers. At its current location, RXQ Compounding ships to 38 states, with the plan to increase to all states once the move is made to the new facility. The new facility will allow for an increase in the volume of current products, as well as the expansion into new product lines. Following his own investment in 2014, Zatta saw financial backing from a few friends, with recent multi-million dollar investments made in the company from the Ohio Innovation Fund and Advantage Capital. In the past year, Zatta stated that they have raised a little over $9.5 million, which is all being invested into the facility in Albany. 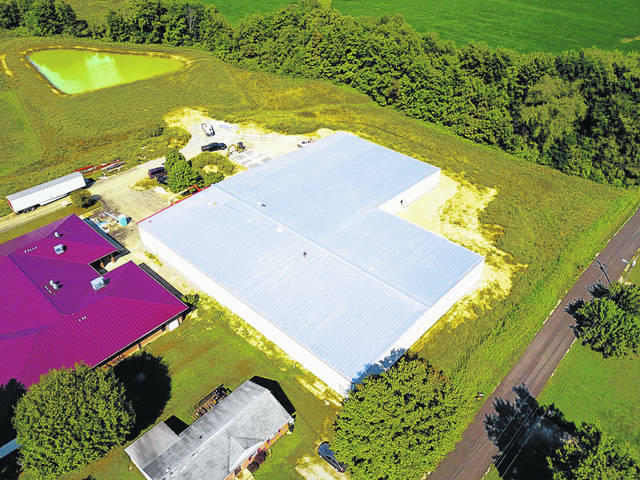 While a 40,000 square foot facility is currently being constructed, there is room for future expansion with an additional nine acres of property at the site. In a news release, Advantage Capital recently announced its $3.6 million investment in the company. The investment, including $1 million in equity under the Ohio Rural Business Growth (RBG) program, will help RXQ expand its new Albany manufacturing facility, increase research and development, and create as many as 100 jobs, stated the news release. According to Advantage Capital, compounding facilities are one of the fastest growing areas in the healthcare industry, due to the rise of chronic diseases and increasing need from patients that cannot be treated with mass-produced FDA-approved medications. In 2002, less than 20 percent of hospitals elected to outsource any compounding needs. By 2017, 75 percent of hospitals were outsourcing these needs, and demand continues to grow. “We are excited to expand our portfolio in Ohio and help move the state’s economy forward through innovation, business expansion and job creation. With RXQ, we utilized our full toolkit of investment capabilities to support the company’s growth plans, and we applaud its success and commitment to creating local jobs,” said Chris Harris, senior vice president at Advantage Capital. Along with the Ohio RBG program, the investment was also made in connection with the federal New Markets Tax Credit program. Both were designed to increase the flow of capital into disadvantaged communities, growing businesses and creating jobs and opportunity in areas where access to capital and private investment is hard to find. “By partnering with state and federal economic development programs, we’re able to provide both cost-effective debt capital and flexible, long-term equity capital to meet the unique needs of companies like RXQ. We are excited to replicate this investment model in support of other rural businesses across Ohio that need growth capital,” said Harris. In addition to RXQ Compounding, Zatta has four pharmacies including Swisher and Lohse in Pomeroy, Ravenswood Drug, The Drugstore at O’Bleness and The Drugstore at OU. For more information on RXQ Compounding visit rxqcompounding.com. A portion of the information for this article provided by Advantage Capital. https://www.mydailyregister.com/wp-content/uploads/sites/24/2018/09/web1_9.20-RXQ_ne201891920362368.jpgAn aerial view of the facility currently under construction in Albany. Sarah Hawley is the managing editor of The Daily Sentinel.